With its warm and cosy glow emitted by dimmed LED lights, the new prebit® lighting solution is ideal for all yacht owners who want a candlelight ambience below deck. When conventional light bulbs disappeared from the shelves, one of their particularly attractive effects – the decrease in colour temperature upon dimming – was lost with them. LEDs were not capable of this effect. Until today, that is. A member of the DEUTSCHE YACHTEN association´s working group has developed an ingenious technology that replicates this effect. ‘Dim2warm’ is a brand-new product which uses artificial light to replicate a candlelight dinner atmosphere on board. 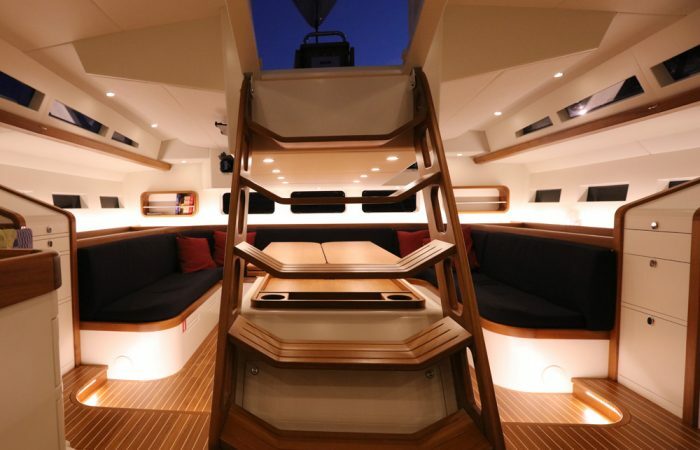 A modern yacht lighting solution based on energy-saving LED technology, it has a colour temperature of 3,000 Kelvin at full brightness. This makes it ideal for reading and playing cards or board games. If a conventional LED light is dimmed, the light not only becomes weaker, it also appears cooler, or even grey. This is because the colour temperature of LEDs does not change upon dimming. This does little to create a comfortable atmosphere. “The virtue of the candle lies not in the wax, but in its light”, stated Antoine Saint-Exupèry. Candles emit soft, pleasant light at 2,200 Kelvins. prebit® has sought to replicate this using artificial light, and thus provide its customers with a soothing glow by which to calm the senses after a day’s successful and exciting sailing. The company’s solution is a sophisticated electronic circuit which, using a microchip to coordinate various LEDs, is able to create the effect an incandescent or halogen lamp being dimmed from 3,000K to 2,200K. A particularly appealing feature of this dim2warm technology is its high colour rendering value (Ra value) of >90. While EU law prescribes an Ra value of at least 80, people can only perceive colours properly if this value is significantly improved. This is especially relevant to the interior of a yacht, where natural wood finishes and colourful upholstery are key to defining its style. 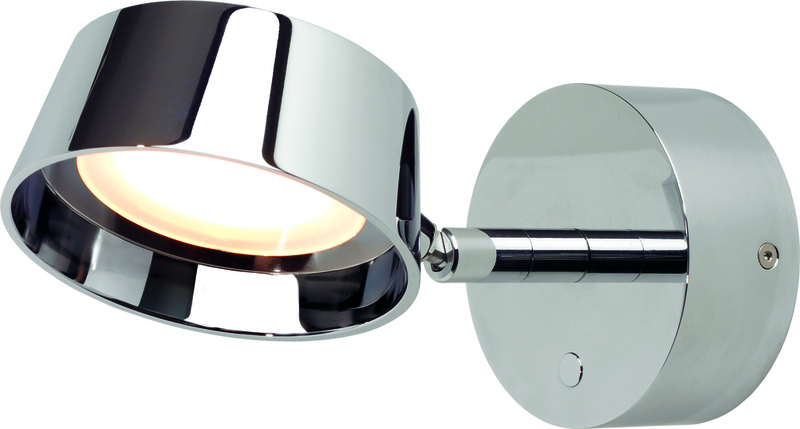 The dimmable lights created by prebit® from Germany, feature a soft switch for continuously adjustable dimming. They also boast a memory function that enables them to switch on at the last brightness level used. In many of the models, the colour of the light can be quickly changed by a simple double click (much like on a computer mouse). It can be changed to red f. e. to avoid using distracting white light during journeys by night. The intention is also to equip individual table lights and some of the ceiling down lights with this feature. Because basic night lighting does not need to be very bright, prebit® has developed an intelligent group circuit able to switch some lights from white to red at the most important locations, and to switch off other lights not relevant to night cruising at the same time. This saves energy and lowers the fuel consumption. Not only do the new LEDs themselves consume much less energy; the fact that they emit so little heat (as compared with regular incandescent and halogen light bulbs) means that the superyacht’s air conditioning needs will be reduced, which in turn further reduces the yacht’s climate footprint. Many wall lights from LED specialist’s current design range for 12- and 24-volt vehicle electrical systems can be optionally fitted with a USB charging station. A high charging current with protection against overload, reverse polarity and overtemperature is available for smartphones, tablets, cameras and other mobile end devices. If the yacht is connected to the port network, if the generator starts to charge the battery, or if another type of heavy load (air conditioning, hot water processing, anchor windlass, etc.) is switched on, overvoltage may occur in the board net. Conventional LEDs or retrofit lamps have no chance in these circumstances. prebit® products, however, are protected against this ex-factory. They work in the range of 10 to 32 volts.